Buying your first piece of original art can be intimidating. It’s a big commitment and can be a big moment of self-examination. Plus, the art world is a complex (and multi-billion dollar) industry. However, you don’t need to be buying and trading Picassos and Monets to be an “art collector.” All you need is space in your home and your heart for a piece and all the stories, joy, and pride at supporting an artist in their business that comes with it. To get a better sense of how to prepare to buy art for the first time, I spoke with three local gallerists about the anxieties and joys of starting a collection. While they each specialize in different styles, they each echoed a similar mission: to play matchmaker and connect people with art that they truly love. They offer advice, reassurance and immediate steps you can take to get intimate with art. A. D. Guerra is director and founder of A R E A. A R E A focuses on interdisciplinary art, so expect a mix of visual art and design with a very hip feel. Bonus: Cuban artists. 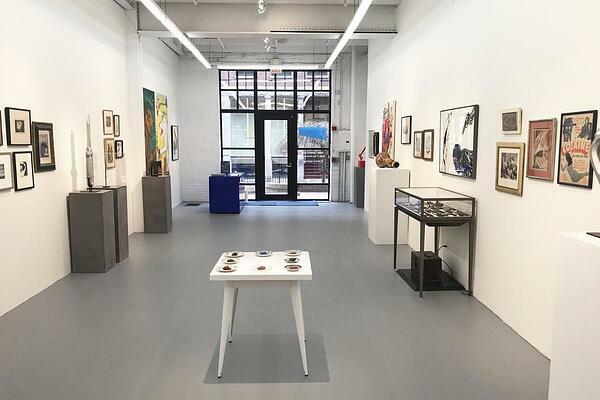 Located in SoWa at 460 C Harrison Avenue, A R E A offers hip events once a month where you can peruse the art in person. Gabriel Boyers is the founder of KABINETT, located at 450 Harrison Avenue. Inspired by the Cabinets of Curiosities of the renaissance and quality wines, KABINETT features contemporary works by contemporary artists at the top of their craft. Ali Ringenburg is the owner and director of Sloane Merrill Gallery. Located at 75 Charles Street on Beacon Hill, this charming gallery focuses on oil paintings by living artists. How do you know if you're ready to purchase a piece of art? No life or home is complete without art, so my short answer is: you are ready when you have a space on a wall! Art takes us out of ourselves and, at the same time, further into ourselves. Living with works art, engaging with them day after day, while you eat, drink, when you are filled with energy or joy, or anger or sadness or every other emotion, changes how you view a particular work and enriches your experience of the work. Even returning over and over to beloved pieces in museums or in books does not offer the same rich engagement. You know you are ready if you have connected with an artwork that is unique and original and if after the first encounter, the idea of living with that piece continues to positively affect you. You think of someone buying their first painting and people being younger. And I find that I have people of all ages that come in that are often intimidated by walking into galleries. It’s just hasn’t been a part of their upbringing or their usual routine. I think that education and exposure are huge within kind of getting into art buying and getting into art buying can happen at any age, any time. There’s not particular, “I’ve just landed by first secure job. Now is the time I have to buy my first painting.” I think it comes about at many different stages in life. There’s a couple of different ways of going about it. You see something, you fall in love with it, it’s serendipitous, it hits you, you know, it really hits you. It’s not just that mood you’re in that day or buying it because of the person you’re with or getting swept up in the fad of the space you might be in at that moment. If you’re buying something for the first time, trust your instincts and impulses. If you see something that you fall in love with and it’s in your price point and you know the amount of money that you’d be spending – you feel completely comfortable with it – you should go for it. I tend to say to people, “Think about it.” Over the years of doing this there’s a few things that I hold very steadfast. One is that if you’re really meant to have a painting and you love it, I always say: if you don’t leave with it, I would bet that that painting haunts you. You sort of wake up and think about it or it comes to you at different points throughout the day and you just being thinking about it. It’s like a haunting, but a positive haunting. Could you touch on the benefits of buying through a gallery better than purchasing from someplace like Etsy, Artfinder, etc.? You can see the artwork and experience it before you buy it! 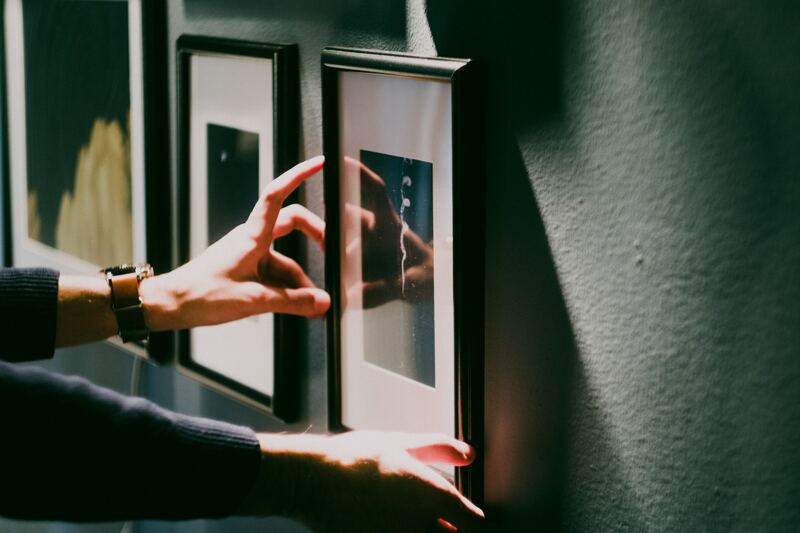 That experience includes establishing connections with the artwork that are usually possible when the galleries or the artists themselves provide special information about the piece to the potential buyer. Although many of these platforms that sell art offer curated selections, it is easy to feel overwhelmed and disoriented by the amount of works online. Galleries, apart from having a more focused selection, can provide guidance and advice when you are looking for a particular piece or building an art collection. Many galleries work with local artists. That allows gallerists to organize studio visits where the collector has a chance to meet the artist and witness the process behind the piece. It’s also possible to borrow artwork. Living with art for a short period of time may help you make your decision. Developing relationships with gallerists and art dealers can offer you both additional opportunities to engage with art and artists and to learn from people who have spent a lot of time studying art and the art world. Frequently gallerists and dealers can also help find financial solutions to assist with larger purchases or can direct you to work within a specific budget or size in a much closer and more personal way. There is just nothing—nothing—like seeing a piece of art in person. There’s nothing that can take that away. I’m all for buying things online once you know that person’s work, once you’ve experienced it in person. Seen the texture, seen the color, seen the brushstrokes, seen whatever it may be. Quality matters so much and color matters so much and to me It’s just impossible online to shop for whatever it might be because scale just isn’t represented often. And I think that that is also the beauty of art is to experience it in real life. And that’s the fun of it. Part of the fun of buying art is a bit the chase. Getting out there, getting exhilarated. Wanting to find that thing that you love. The chase doesn’t exist in the same way when you’re just going down the rabbit hole of websites, in my opinion. You’re also not getting the interaction of talking to someone of hearing maybe a little bit more about the painter, or maybe even interacting with that artist in general. There are many different ways that people go about selling work. Open studios are a great opportunity for people to go see a see a studio, see some of the process, see how hard people work to create things and all that goes into it, and actually get to meet that person. Buying art can be intimidating. What are some anxieties you see from people, and what how would you assuage their feelings? 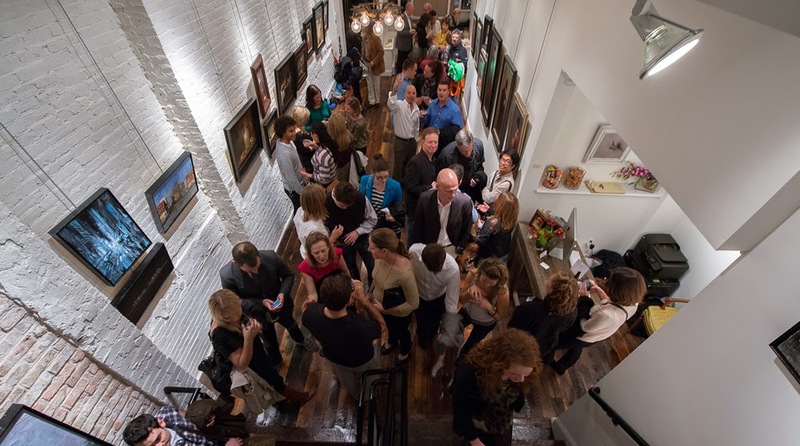 There is a perception that galleries are spaces where only those with the ability of purchasing art are welcome. We encourage everyone to be with art, whether the visitor ends up adding a piece to their collection, or simply comes to appreciate the work and the ideas that inspired an exhibition. In our case, we organize a broad range of experiences at the gallery where the focus is not to turn visitors into collectors but to encourage a deeper appreciation for the work that is on view. Seeing art can certainly be enhanced by the way you experience it. People come into the gallery all the time and say to me, “You know, I don’t know anything about art.” And I always say, “You don’t have to know anything. You just have to know what you like.” It seems very simple in a way but it’s really, big. Is it going to be something that you will be happy living with for the rest of your life. You walk into a gallery, you look around. You walk into a museum, you look around. You take it in. One thing that I really try to eliminate is that anxiety is greeting people. Saying, “Hi! How are you?” Basically, giving them through a few words: this is an informal environment. Come in. Be yourself. Look around. Feel comfortable. And that’s one thing I do by greeting people, by having fun music playing, by having it be an approachable space, and that’s what I really want. I think that so much about education and especially art education and art buying education comes from conversation and comes from talking about what you see, what you like, what you don’t like. Interact with people in the gallery. That may be the owner, the director, someone that works here, someone passing by, another client. I like conversation to just flow and that’s one of the element that I like to decrease anxiety of people walking in. What do you wish more people knew about the artist-collector-gallery dynamic? Art inspires us and connects us. Collectors are a key element in this relationship. By buying the art they love, they are supporting the career of an artist who has chosen our city as a home to create. By collecting art, they are also supporting a network of galleries that articulate relevant conversations to engage our community in necessary dialogues. Being aware of that significant role keeps our city alive through creative thinking. That according to many international studies, most art galleries either lose money or (barely) break even. If you don't buy from galleries, they close, because most gallerists are not in the position to be essentially philanthropic institutions (like museums), places where you can come to look but never buy. Finally, for your community to have galleries, you have to buy from them or they go away. I know and care very deeply about all of the artists that I work with. It’s important for me to know for my clients to know, or people who are thinking about buying something to know that I pick these painters for very specific reasons. Everything that I pick is something that I love and that I believe in. That’s one important thing that you sort of hope that people understand that clients coming in understand that each gallery: whether you like it or like a small portion of it or you don’t like any of it, for the most part, that gallery owner/director/curator’s own personal taste. It’s their own interests hanging on the wall. There are plenty of places I go into where I’m like, “I don’t get any of this.” But I respect it, right? It’s their own choice and it’s their own space and their own curation. It’s funny, I’m not a very quiet person, but in those situations, I tend to be really sort of more reflective. I’ll go in. I’ll look around. If someone engages me, I’ll ask, “What do you love about this work,” or, “Why do you have it hanging?” When I hear it explained, it opens my eyes in a different way. I still may not love the work, but at least I have sort of a deeper understanding or a deeper appreciation of it. I think it’s kind of a wonderful thing that we all have a different eye and different tastes and different things that we love. I’ll tell you some of the things that excite me the most about being in this world. One is seeing painters: what fuels them on, what they are excited to work on. It’s just so exciting to see a new painting develop, or them finish a piece and be ready to share it with me. It’s just so exciting. On the flip side, it’s just as exciting to see something new arrive and come in and to share a painting with someone – a client or collector – who feels that similar level of excitement and thrill and like fueled on in their art appreciation and art love and say, “I have to have this. I want it. I want to live with it.” And so, those are the two elements that are just constantly keeping the fire going. What advice do you have for first time collectors? I always advise first time collectors to consider prints and photographs to start a collection. These are usually mediums where collectors may find high quality works for very affordable prices. We encourage the artists we work with to create pieces using different formats or techniques to make their work more accessible. Supporting local emerging artists is also a phenomenal way to start a collection. We have the privilege to have art schools in our city that host annual fundraisers to benefit their students. These fundraisers include silent or live auctions that offer works with a wide range of prices. Several non-profit organizations in Boston raise funds by auctioning the work of local artists. Supporting a social cause and bringing home a brand new piece from a local artist benefits everyone! Go to as many art galleries as you can, talk with gallerists and dealers about your interests, be open about your budget and timeline and ask for advice. Be open to new things, new styles and ideas and, even when you like one person, don't get stuck only listening to them and seeing what they want to show you. Regardless of where they are—but let’s just pick Boston, because it’s easy—my advice is always to explore. Go to SoWa and pick a couple galleries to go in and look around. Don’t go to all of them because you will get, like, visual exhaustion. And go to the MFA. Go to the Gardner. Obviously, you can’t buy anything there, but look and see what you love of things that you can’t actually buy, but things that really excite you. And then go to Newbury Street. You can come to Beacon Hill. You can come in here. There are so many galleries sort of all over Boston, Cambridge, Somerville, and beyond. I would just pick a couple places to go to, wander into and explore and experience. After that, if there are a few galleries or painters or artist that you really love, check them out online. Google them. See if it was just one painting of theirs, or one piece of work that really grabbed you, or if you really love what you see overall. Then begin homing in on one particular thing. Why do you like it? What excites you about it? I think that’s the most important thing. There are some people who don’t like that sort of level of research or checking things out. To them I’d say the same thing: go to these places, you see something you love, buy it. It all comes down to size and price point and if it’s the right size and the right price point and something you want to buy, absolutely buy it. Open ended, is there anything else you would want to share with a first-time collector? Don’t be afraid to ask for more information about the artwork when visiting a gallery. Don’t leave with an “I don’t get it” feeling. Although an explanation is not always needed to interpret or connect with the work, gathering more information about the artist and the piece is always helpful. By doing so, you may engage with a piece that could transform your life. That is the power of art. Before you go shopping for art, spend a few hours in a museum and make a list or snapshots of 5 pieces you could imagine living with. Think about what it would be like to see each one over breakfast, or while toweling off after a workout, or hanging behind the person you are having an intimate conversation or encounter or argument with. Do you think you'd get bored of it? How might its presence enrich or change those experiences? Now take that list to a few gallerists, or hold it in your mind, and go look at some paintings for sale. How do they stack up? Are they skillfully made? Are they rich with meaning? Are they stylish? Too stylish? Will they look in 10 years? Will you be interested in what the painting or sculpture is saying? If you don't automatically know the answers, raise such questions with the person selling the art and ask for their thoughts on such matters. It's a lot to think about, I know. But it's so worth it. There are certain people who think, “Is this a good investment? Is there going to be a return?” They’re thinking in very specific monetary terms. But one thing I hear time and time again from long-time art collectors is, really and truly the most powerful return on investment is living with great work that you love. Being around and exposing friends and loved ones (and children, and grandchildren, whoever it might be) to that work. It’s a great investment. You’re supporting someone doing something creative, but you’re also investing in your own mental health. You’re investing in your own happiness by living with something that you love to look at, that you love to come home to. It’s like getting a tattoo or new roommate—you should take the commitment seriously, but it should ultimately bring you joy and surprise at every turn. Bringing art into your home is an investment in something beautiful that you should want to live with for the rest of your life (and perhaps pass on to others). Yes, it’s decorating your home, but more than purchasing a lamp or new couch (unless you’re into that sort of thing), finding a piece of art is a chance to really dig in and explore your own taste. Art buying has the potential for considerable depth of consideration—dive in as deep as you want.